At Kenmore law firm we believe individuals matter. Every single client is treated with the respect they deserve. Our motto, “treat every client like family”. 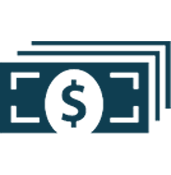 Our attorneys have settled and litigated cases resulting in tens of millions of dollars for our clients. Our lawyers have earned a reputation for excellence, and taking on the most challenging claims with successful results. At the Kenmore Law Group, we take great pride in representing individuals who have suffered injuries in auto accidents in Los Angeles and across California. Our mission in each and every case is to provide our clients with the utmost level of legal representation so that a maximum level of financial compensation is received. Our lawyers will provide you with years of experience in the field of auto accidents, including truck crashes, pedestrian and bicycle collisions. Our attorneys will travel anywhere within California to provide victims with expert legal consultation regarding their case. All case reviews are provided by our lawyers free of charge. You will need a Los Angeles auto accident lawyer to represent you in your lawsuit because insurance companies are unlikely to just hand you the amount you deserve. Naturally, their main goal is to maximize their profits. This means they have an incentive to pay you as little as possible and get you to sign a liability release form, which will bar you from further recovery. However, the little amounts that these companies offer are rarely enough to cover your medical bills, let alone other monetary damages such as lost wages and pain & suffering. Therefore, hiring an experienced attorney who specializes in traffic accidents is your best option. We are experienced in litigating all kinds of traffic accidents, including car, truck, and motorcycle accidents. Legally speaking, there are some differences between these cases. 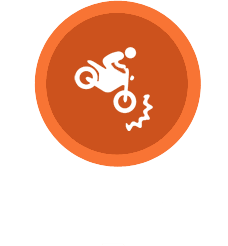 Motorcycle accidents result in a higher degree of severe injuries and fatalities than any other type of motor vehicle collision. Similar to car accidents, victims of motorbike accidents are entitled to monetary compensation for the losses they have incurred including medical costs, lost wages, pain and suffering and emotional distress. 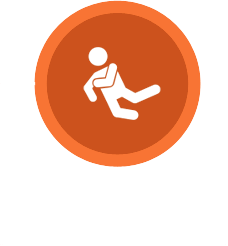 Our team of dedicated accident attorneys will guide you through the legal process every step of the way. Similarly, truck accidents usually have more clear liabilities due to the negligence of the truck driver. Every year more than 75,000 individuals sustain catastrophic injuries resulting from truck accidents. Large trucks pose a serious danger on the road for motorists. Our law firm is dedicated to helping people who have been injured in truck accidents receive just compensation for their injuries. Contact us today to consult with us for free, with absolutely no obligation. We will win or you don’t pay. It’s that simple. We understand that you have already been through a lot and to make your life easier, we offer a FREE, no-obligation consultation to review your case. Next, we will discuss your options. Results are GUARANTEED. If we take your case, we will get paid only when you do. We will win, or you owe us nothing. All accident lawyers at our office have years of experience litigating such cases, so they know how to get the maximum compensation for your case. With the rise of rideshare apps, clients have come to us and asked, “Can you sue Uber or Lyft for an accident?” The answer is yes, of course, and our law firm is the perfect choice for you to pursue a lawsuit. We have recovered millions of dollars for Lyft and Uber accident victims. Our Los Angeles lawyers have been handling Uber and Lyft claims since the inception of the apps. These types of accidents have become increasingly common as the popularity of the apps has skyrocketed. Victims have suffered various types of damages, from head injuries and broken bones to fractures and brain injuries. Further, the crashes themselves have taken on numerous types, and we have represented various kinds of victims: Uber drivers who have been struck by other vehicles, innocent drivers who have had Lyft drivers crash into them, rideshare passengers who were in a vehicle when it was struck, and pedestrians who have been hit by wayward drivers. We have made it a goal to represent all victims of Uber and Lyft accidents – if you have been hurt because of a rideshare driver’s negligence, you could be entitled to ample compensation. To guarantee that you will receive the fairest settlement possible, you should follow our steps to take after an uber accident.Do not hesitate to call our law firm to speak with an expert lawyer about filing a lawsuit against Uber or Lyft. You should not be held responsible for damages you sustained because of an Uber or Lyft driver’s negligence. The average settlement value of an Uber or Lyft case could be huge, and an attorney can help you receive the maximum compensation available.Reach out to our law firm for help pursuing legal action. Choosing to file a lawsuit by yourself could take up a lot of time, money, and energy, and you should not waste any of that if you can help it. We are here to help. Resolving a claim with Lyft or Uber can be problematic – the companies are not too keen on handing out settlements to anyone if they can help it, and they will swiftly deny your claims. You should always enlist the help of a skilled attorney for help receiving compensation from an Uber or Lyft accident, and our Los Angeles attorneys are more than capable of handling your case and bringing you the maximum restitution available to you under the law. 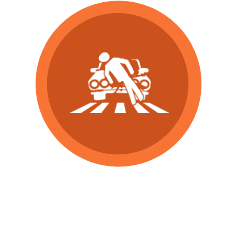 If you are the victim of any traffic accident, contact us for immediate assistance. Remember, our consultations are free, and when we take a case, we do not charge our clients a penny until our client wins. If you don’t win, then we don’t get paid. That’s how confident we are in our expertise. Call us now to speak to a Los Angeles car accident lawyer immediately. We also take pride in helping those who do not speak English, so if you need an accident attorney that speaks Spanish, we can help. I have dealt with many law firms in the past. I can only say that my attorney and the case manager on my file at the Kenmore Law provided me with excellent legal representation. The treated me with the utmost level of respect; I felt I was not only a client but a family member. I will recommend them to any person who is need of an attorney. I wish to thank the attorneys at the Kenmore Law Group. Their professionalism and caring are unparallel. I am fortunate to have these guys by my side in my personal injury case every step of the way. They guided the case and were able to provide me with a settlement I was very pleased with. I highly recommend them. Again thank you for everything. You guys are my attorneys for life. When you are involved in an accident and suffer damages, you are legally entitled to be compensated by the negligent and responsible parties, or their insurance carriers. If you miss work, you will also be entitled to be compensated for lost income. If you stayed at the hospital and had medical bills, then you will be compensated for your medical expenses as well. It is the insurance carrier’s ethical duty to pay you for any and all damage that you sustained. Unfortunately, the insurance industry does not operate based on ethics. Most insurance adjusters are trained to ask you questions that are designed to trick you, so they can legally eliminate or significantly reduce their debt to you. The most important advice that we give our clients is to never speak to the other party or their insurance carrier. Let us handle that part. We are the best law firm to represent you because we care about our clients and we will fight for you all the way. We will take the proper steps to show that the other driver was acting in a negligent manner while he or she was driving. For example, if a driver is on the phone while driving, or intoxicated, they were being negligent. A law firm that is also highly experienced will be able to counter the other party’s attempts to get your case dismissed and win your case. Our offices also have a motorcycle accident lawyer on board to assist injured victims of these devastating crashes. Los Angeles is known for being one of the cities with the worst traffic. For instance, there are many drivers that will run a red light, endangering the lives of other people on the road. Every time someone gets behind the wheel, they are at risk of an accident. Millions of cars are on the road at any given time, and an accident is bound to happen, especially in a populated city like Los Angeles. If you are curious about accident rates, auto accidents injure about 2.5 million people every year and there is evidence that this rate is increasing. Whether it is a sunny or rainy day, an accident could happen at any time. When you are on the road, it is your number one goal to be cautious and do everything in your power to stay safe. Unfortunately, avoiding car accidents is not always possible. Even if you are the best driver in the world, there are always other drivers on the road who will be careless and crash into you. Therefore, it is best to be prepared for such scenarios that anyone might encounter one day. The damages that a victim of an accident suffers can include property damage to their car, as well as physical injuries like broken bones, brain injury, spinal cord injury, and paralysis. Any time someone is injured in an accident, whether the injuries are minor (like a sore back, headaches) or major (life-changing injuries), the victims must have the best car accident attorney by their side to receive the compensation that they deserve. Our attorneys have seen many instances of cases where the victims did not know their rights and they settled with the insurance company for a really low amount that will not even begin to compensate them for their actual damages. Insurance companies hire hundreds of trained professionals whose job is to get the poor, uninformed, and confused victims to sign the liability release forms. It breaks our heart to see a brain injury victim settle for $5000 when they could have hired our firm and collected millions of dollars. When you sign that release form, you are forever barred from further recovery and there is nothing any auto accident attorney can do for you at that point. We are here to protect your rights and not let that happen. We are here to get you the maximum amount that your case actually deserves. If you are looking for the best car accident attorney in Los Angeles, you can contact our firm now for a free consultation. Our firm also handles truck accident cases. A truck accident falls under the category of traffic accidents, so all the rules that apply to general traffic crashes also apply here. There are two major differences that exist between car and truck accidents. Number one is the degree of injuries. When two cars crash with each other, there is a high chance that the cars are similar in size and weight. However, when a truck crashes with a car, the car is far outweighed by the truck. Since the truck is much heavier than the car, it is capable of inflicting much more damage upon the car and its occupants. Therefore, the degree of injuries is usually much higher in truck accident cases. Most of the time, these injuries will forever change the lives of the victims. This was the bad news. 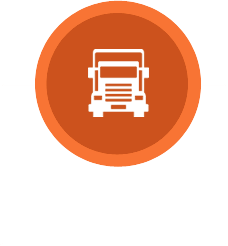 The good news is that commercial trucks and semi-trucks usually carry better insurance. One problem that many people in accidents face is low insurance limits. If your case is worth one million dollars and the negligent party only carried a $15,000 policy, then that’s all you can get (unless there are extenuating circumstances.) Fortunately, trucks usually carry commercial policies, sometimes one million dollars and above. Therefore, if your damages are high, you have a good chance of collecting against the insurance company. Once again, the insurance company will try to trick you and get you to settle for less than the value of your case. Therefore, it is in your best interest to hire a truck accident attorney to help you receive the compensation that you deserve. If you do this alone, you might walk away with a few thousand dollars, while an experienced accident attorney may get you millions of dollars. If you are looking for the best truck accident attorney in Los Angeles, we invite you to contact our firm for a 100% free, no-obligation consultation. Motorcycle accidents are in many ways similar to auto accidents. These also fall in the category of traffic accidents and therefore, the negligent parties who caused you damages are responsible to provide you with financial compensation. The degree of damages in motorcycle accidents tend to be higher because the driver of a bicycle or motorcycle is more physically vulnerable. The driver of such vehicles does not have the luxury of being surrounded by all metal which can protect you in case of a crash. If you have been involved in a motorcycle accident, your damages are probably high. 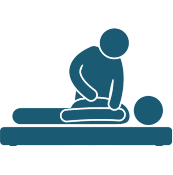 You may have lost wages, pain and suffering, medical bills, and in some cases permanent injuries. Insurance companies are not interested in treating you fairly; in fact, they have professionals who will make every attempt to pay you as little as possible. Many times, a case is worth millions of dollars and confused victims will settle with the insurance companies for only a few thousand dollars because they don’t know their legal rights. That’s where we come in. Contact us today and we will tell you about your legal rights. We will tell you if you have a case, and what to do to get the maximum compensation for your damages. Our consultations are always free of charge and there is no obligation. 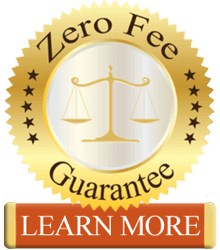 When you hire us, you also enjoy zero fee guarantee: We do not collect any fees unless we win. If we do not get your money, then you do not have to pay us. Call today to speak to an attorney immediately. Below is a list of our areas of expertise. This is not a comprehensive list.